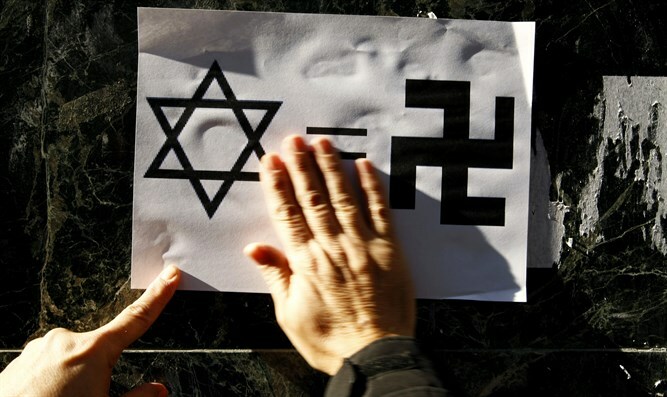 The adage that a country's continuously poor economy leads to rising Jew hatred is being challenged in modern times. Dr. Sam Minskoff, a member of the Aliyah Team at Arutz Sheva, discusses the usual adage that countries' poor economies contribute greatly to rising Jew hatred, pointing out that the adage is not necessarily applicable in modern times. He also addresses those self hating Jews who are deaf, dumb and blind to what it is to be a Jew and could not care less, to the extent that aliyah (immigration to Israel) is discouraged and moreover forbidden to the unfortunate, pitiful group who will just have to miss out on the miracles and blessings of living as a Jew in G-d-given Israel. In so doing, Dr. Sam Minskoff implores the leadership that insists on caving in to Israel’s enemies for the sake of being loved and accepted to stop that suicidal psychotic tendency and LIVE.